Jamil Kassam is a Belgian singer/songwriter, born and raised in Ivory Coast, with an Indian background. 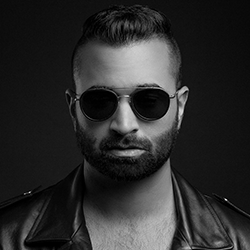 From Abidjan to Paris, Dubai to Brussels, and most recently Boston; Jamil draws influence from around the world and embraces many different styles of music, despite his easily recognizable Pop-Identity. After touring and opening for popular French artists, Jamil Kassam decided to relocate to the United States where he currently studies at the prestigious Berklee College of Music. In addition to touring locally, he is also recording his first solo album with the help of a talented international team he has meticulously put together.